There are quite a few miscellaneous and interesting regulations in our readings today! :) All in all, very good advice of course. 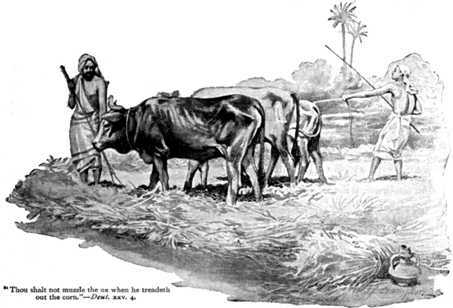 Deuteronomy chapter 25 verse 4 tells us this wise advice - "Do not keep an ox from eating as it treads out the grain." I think it is quite fair for an ox to eat while he's working! Worship God: Today's readings in Deuteronomy reminded me of Josh Wilson's song "I Refuse:"
Do you refuse to settle for less in your life? Click here and settle no more! Prayer Point: Pray that you are kind and fair to animals.